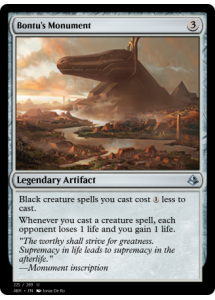 Black creature spells you cast cost less to cast. 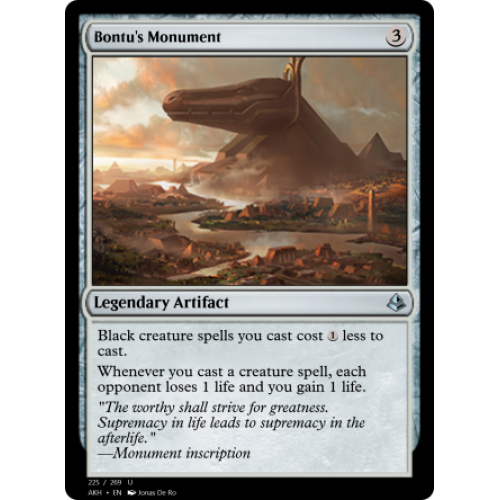 Whenever you cast a creature spell, each opponent loses 1 life and you gain 1 life. "The worthy shall strive for greatness. Supremacy in life leads to supremacy in the afterlife."